There is a growing arts movement in Thanet, no doubt inspired by the sea air and the works of J.M.W Turner and Van Gogh, who both lived and stayed in Margate or Ramsgate, in the 19th century. Within this sector are a number of authors who often feature in the various news websites that cover Thanet. Authors like their works to be published and to be bought by the public. Most authors are also supportive of the public library network, as this gives their books a wider readership. Unfortunately like some species of seabirds and whales, public libraries are becoming harder to find and rarer still to find open at convenient hours. Puffins and Humpback whales have David Attenborough to campaign in their interests; but our local lending libraries have no one of that stature to campaign for their retention. We cannot blame climate change or the movement of Krill to account for the decline and fall of our once great public library network. The causes in this case are rather easier to find: they are austerity and a belief by some, but not all local authorities, that public libraries are outdated and should be phased out. Kent County Council (KCC) is undertaking another of their consultations; this time on our library service. Their proposition is to group all libraries into 5 categories and then in order of importance, allocate various opening hours to all libraries within each group. The categorisation is apparently based on footfall and book loans. Ramsgate comes out of this exercise rather badly and Newington Library in particular, suffers a catastrophic 65% cut in hours, to the point where it is closed more often than it is open. In short it may become just a glorified book storage facility, with a poor long-term future ahead. It does seem that Thanet and particularly Ramsgate gets a poor deal from the various top down local govt and health organisations and it is all too common for facilities to be cut or reduced in Thanet, which makes what is a very challenged District, even less resilient. What makes it even more galling is that some areas of West Kent will receive increased opening hours, rubbing more salt into the wound. However, simply complaining to KCC about the inherent unfairness of their proposals will fall on cloth ears, so instead, Ramsgate Town Council has come up with an alternative called the ‘Ramsgate Plan’. Have 3 groups or categories of library: Main or Central library, Community library and Small library. These would be based on the size of the Town or its strategic location. So, all Towns of 40,000 residents or more, would qualify for the main group and those like Deal which is has a population of 30,000 but is the only library for some distance would also qualify for this upper group. In the second category would be mid-range towns and communities of 30,000 and under. Finally, in the small category would be those Towns of 10,000 and under. The hours for each category would be: 40,30 and 20 hours respectively. Additional hours could be awarded for areas of special need and challenging social resilience. Cuts are reversible, but slash and burn policies are not. All libraries would receive a cut: This is not a good thing, but in this proposal, it would avoid some of the more outlandish outcomes arising from the KCC proposals. Ramsgate and Newington: Suffer lower footfall because they are not located within the main centres of each community. 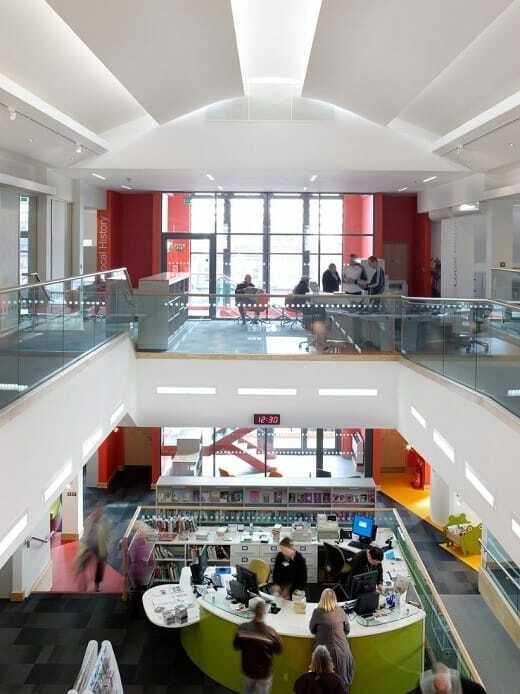 Deal library for example, is located in the Town Centre within a municipal car park, Margate is located within its Town Centre and has a Gateway located on site, which increases its footfall considerably. These are the disadvantages that Ramsgate and Newington face together. Ramsgate has a fine building: but wastes enormous amounts of space with its atrium. For all its architectural merit, it is located in a back street and more resembles a hedge fund HQ, rather more than a community library internally. Newington: Is located within a school (another fine site), but away from the centre of the community. I am informed that an internal KCC report pointed out that ‘co-location’ at a school is not a good option for a library. Parking is sparse and the library looks and feels unloved. Aberdeen House is another fine building, but as a registry office it is poorly located in a residential area. It may be an excellent wedding venue but is it a good registry facility for everything else? Proposal: Sell Aberdeen House, use the money to (a) relocate Newington Library within a new rebuilt community centre and (b) Purchase a void property in the Ramsgate Town Centre as a lending library and use Ramsgate library as an adult education centre, central bookstore and registry office. Thanet District Council could also reallocate the £2m contribution earmarked for Thanet Parkway Station towards this plan which will deliver a considerably greater dividend for Ramsgate and the District, than a controversial project like Thanet Parkway. Greater efforts also need to be made by the District library management to encourage enhanced community outreach. 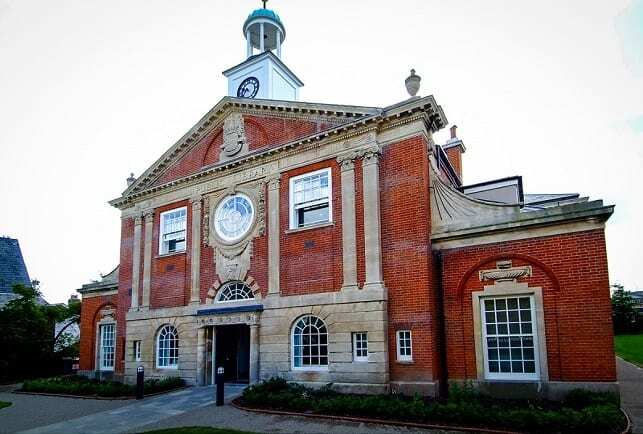 Its not the fault of Ramsgate or Newington, that KCC has made poor choices in the past, in locating its libraries and registry office. Libraries need to be located right in the centre of every community and not on the periphery. These are wonderful buildings, but quite useless from a practical point of view. All cutting hours will do, is lead to eventual closure. When a supermarket or a bank closes a branch, the owners don’t expect an increase in use of their services, so why will closing or reducing opening hours at a library increase footfall and book loans? Long term this will mean that deprived areas will be even more deprived, as they will be denied access to books and places to study. Libraries change lives and should be valued and supported. KCC’s own consultation literature waxes on about giving the young the best start in life, community cohesion, increased literacy, healthier and happier lives, stronger, ore resilient communities etc etc. How do these proposals assist Ramsgate and Newington meet these laudable objectives? KCC also mentions that Kent will have greater population growth and Thanet is marked down to accommodate that growth, how is cutting the library service in Ramsgate and Newington congruent with that forecast? Looking at this lopsided consultation, one gets the strong impression that all the benefits of the library service will be available to a favoured few, but many of those who really could benefit from a local library will be denied adequate access. This is a really important matter. Probably more important, than many other well-known causes that are getting lots of publicity in the media at the moment. Retaining and enhancing the library service is important in ensuring that every community can be resilient, highly literate and ready to face the challenges of the future. Write to your MP and your local KCC Councillor and ask them to adopt the Ramsgate Plan. Vote in the local elections in May. Even though Town/Parish Councils and Districts don’t normally run libraries,however, the £2m proposed allocation for Thanet Parkway Station by Thanet District Council could be used more productively in restructuring and uprating the library service in Thanet. Ask each candidate if or she, would endorse the Ramsgate Plan. Most important respond to the KCC consultation. Do it now, because it is going to end very soon. Demand a better deal for Ramsgate and Newington and ask that KCC adopt the Ramsgate Plan. 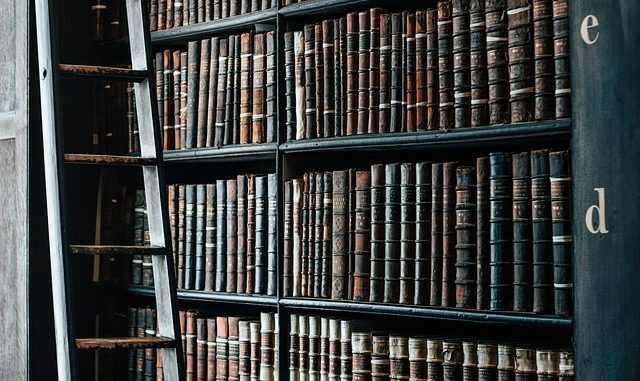 The Public Library service in Kent and elsewhere in the UK, is a universal service available to all, it is a gift bequeathed to us by farsighted individuals and organisations in the past and it is as relevant today as it was in the past. The KCC proposals break with that covenant of universality and leaves some communities like Newington with a shadow of a library service. The signals that KCC are giving to Ramsgate and Newington is one of disengagement. For all the warm words and case studies within the consultation document, the outcome is entirely negative for Newington, Ramsgate and Thanet. Newington Library was located in a good site but that was sold for housing and the library moved into the school some years ago. Libraries are vital resources for all of us and as a student years ago I was able to get most of my textbooks through my local library but sadly that’s no longer the case. They enable those without much space or quiet at home to study, for the elderly who can no longer afford to buy books to keep reading and learning. The library service runs a home library facilities that enables housebound residents to keep borrowing books and stay in touch. A true story of how libraries can change lives. A young man went into a Sheffield library and, for some unknown reason, he never did understand why, he borrowed a book on Inorganic Chemistry that got him hooked on the subject, that took him to university to study and he retired a few years ago from his position as Professor of Inorganic Chemistry and an important research role at an English university..
Who knows what other lives could be changed by simply borrowing a book? Who is responsible for this recommendation being made public on the LAST day of the public consultation? If it had been made available earlier it could have been ” championed” by those who care about libraries (not just users) at the consultation sessions and in responding to to draft strategy. I think that Thanet is a bit like the Lamma of Hong Kong in the 70s, lots of creatives that venture into the city once in a while but set up their own stuff and create their own life, but spread it about and make it something, possible like Christiania in Copenhagen. Sod the council, lets make our own library, lets do what Christiania Copenhagen did, just move in somewhere, set up our own place. We pay for services from our local authority. Have our contributions gone down? Of course not. Our money is just not being used well.. Every time we respond in a consultation with a huge NO we are ignored. There is a real temptation to.get fed up, moan and just give up. But now is the time to get together and SHOUT about what we care about. I have lived in Ramsgate for nearly 7 years and I have never been so badly governed. The taxes I pay just seem to be wasted. The services I receive are being cut back the whole time but there seems to be plenty of money to spend on projects which offer me no real benefit at all. My life is being impoverished on every front. I have used my local library in different ways through my life. Now I take my grandchildren to story time and we spend ages choosing the best stories to take home. I make arrangements to borrow reference books I need for my business. I borrow large print thrillers to read in the middle of the night when I cannot sleep, crochet books for pattern ideas and audio books for during the day when I need to rest. My life is made just a bit better . Libraries can offer a real variety of services alongside the books. I will be supporting this really good, ,locally grown, new proposal. I refuse to let our County Council continue to make my life worse. Perhaps Ramsgate’s library would enjoy a bigger foot fall if it were nearer the middle of town. How about the un-used portion of the Royal Victoria Pavilion?